Many Western Christians have an idea of what to do on Good Friday and Easter. On Good Friday we call to mind our sins, the last words of Jesus on the cross, the shock and despair his followers experienced… and we try to imagine his suffering, entering into that as best as we are able. But what about Saturday? The disciples didn’t have an “Easter” to look forward to. Jesus was done for, as far as they knew. He was really dead. When he did appear to the apostles, they were terrified and thought they were looking at a ghost. They weren’t even hopeful for resurrection–it hadn’t crossed their mind as an option. So what some Orthodox call “Bright Saturday” was anything but bright for Jesus’ first followers. It was horrible. Awful Saturday, they thought they would have to call it for years to come. They felt as empty as the tomb was about to be. It was a Sabbath day, too, so they didn’t have any work to distract them. They were quiet. Or maybe they wailed loudly. Maybe the second day–Saturday, and he was still gone!–was even more difficult for the disciples than Friday. There’s a liminal quality to Saturday in Holy Week: it’s an often unnoticed, unmarked day that is situated between death (Good Friday) and life (Resurrection Sunday). How should I feel? Sad? Penitential? Happy? Pre-happy? Expectant? However I want? All or none of the above? Many Episcopal churches have a full Easter Vigil service on Saturday night, but just this simple offering for a Holy Saturday liturgy. We “await with him” and “rise with him” in that service’s Collect. 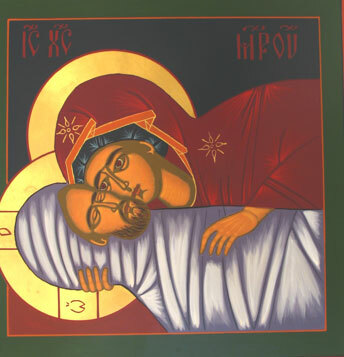 This calls to mind Psalm 30:5, which says, “Weeping may stay for the night, but rejoicing comes in the morning.” Our Holy/Bright/Liminal Saturday is a short day, since we know of Resurrection Sunday’s shouts of acclamation and loud Alleluias. “We are in death.” Death Saturday. Awful Saturday. Jesus’ followers had no clue what–or Who–was just around the corner…. Next Post “He Is Risen!” Delirious Tale or New Reality? I always find Saturday the hardest to “celebrate” – because it’s waiting! But, in some ways, waiting, and being with Jesus, during all of Holy Week is the point. We wait and be with him as he experiences, and we experience with him, all the ups and (mostly) downs of the week. Each year seems to be something different that I’m waiting for, and somehow the experience is enhanced as I literally and metaphorically wait for God. Thanks for this post! Good words, Jen! You’re welcome, and thank you. Thanks A–good thoughts. May I share a few of my own? What do you do on Saturday? Following the example of the women in Luke’s account (Lk 23:55-56), you do…the next right thing. You don’t look down the road and try to figure it all out. For them, the next right thing was to go home, prepare spices for Sunday, and rest–per the Sabboth. It very well may have been one of the longest nights of their lives, but they did the next right thing–and as Jennifer said well, they waited. We often move too fast from Friday to Sunday, not staying at the gravesite with those who mourn or have experienced loss. Rejoicing does come whenever the morning arrives, but it often is a very long night–and we dare not try to rush through that–ourselves, or with others. Friday is painful. Saturday allows time for pain to perfect. Sunday is a new season that doesn’t forget the pain, but lives victoriously in spite of past pain. Saturday is indeed a holy time–and perfected holiness is often a slow, painful process–but a necessary one, for better days ahead. What good words, Steve. Thank you.